MicroChannel is the leading business software & technology provider in Australia, with 1400+ customers. We provide ERP, CRM, Warehouse, Retail, IT / Managed Services and Marketing Tech solutions. 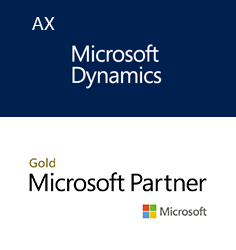 A selection of our partner credentials include: SAP Gold Partner, Microsoft Gold Partner, Sage Business Partner, Salesforce Partner, IBM Partner, and HighJump WMS Partner. Choose from World Class Products that all have something in common... Built to Perform! Solutions to Make Your Business Really Run... and Run Fast! It's the peace of mind that comes from knowing the help you need is available when you need it. Provide employees with secure mobile access to the information and processes they need to handle critical tasks – and make informed decisions – in real time. Learn more about working at MicroChannel and our open job opportunities. MicroChannel can provide your organisation with anything from a single solution to a complete end-to-end business system. If you look to the left you will see our diverse product range. MicroChannel is unique to most solution providers as we offer multiple products/solutions that on paper may seem to do a similar job, but in reality they are very different. Why we have multiple products and solutions? This reason is exactly why MicroChannel provides you with multiple products/solutions, to ensure that you get the 'best fit product/solution' for your business, because like shoes, software/solution packages may seem similar, but once you implement the solution/product it becomes clear that some solutions and products are a much better fit than others. Which product or solution is the best fit for your business? This is where we come in, we use our years of experience to work with you to determine the solution or product which is the best fit for your business. How do we determine the best fit solution for you? We know our products and solutions inside-out, and similarily you too know your business indside-out, so naturally the best person to talk to about your business is you! We listen to your needs, requirements, and pain points. From this we recommend and craft a solution which is not only going to satisfy your current business requirements, it will be a solution that will grow with your business. In addition, by providing multiple products and solutions, we are not one sided or biased towards any particular product, therefore we are not going to do a sales spin job on you. We can give you an honest opinion based on your business requirements to what product or solution is the best fit for you. With its suite of extensive functionality SAP Business One comes equipped to handle all industry specific requirements and delivers truly innovative features including a five-step MRP Wizard and Drag&Relate tool that lets the user link different pieces of information with a single click. Run your business. Without your business running you. Take the SAP Business One Test Drive. 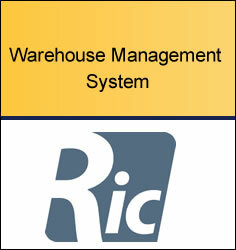 There are many warehouse management systems (WMS) on the market today. 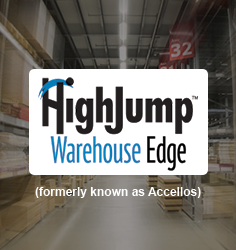 HighJump - Warehouse Edge (formerly known as Accellos) sets itself apart from the rest through a combination of robust functionality, seamless integration components and by offering the WMS as a piece of an overall supply chain solution. In today’s fast paced and ever changing business world, the warehouse needs to connect into many other departments of the business to provide critical information in real time. HighJump - Warehouse Edge acts as the hub of your supply chain solution, integrating accounting/order and shipping software systems, electronic data interchange (EDI) systems, Crystal Reports software, radio frequency and barcode hardware, and warehouse automation equipment. The MicroChannel Systems Integration Department is your full service outsourced IT Department. We provide technology solutions to support your business needs, so you can leverage technology to achieve your business goals. The beauty of Phocas is that we don’t present the information to you in a fixed set of templates, reports or dashboards that tell you what we think you need to know (which is what some of our competitors do). The problem with that is that you end up with a lot of interesting reports that aren’t actually very useful. No. With Phocas, you ask the questions and we’ll give you the answers you’re looking for in moments; whether you’re using a PC, smartphone or tablet. And if that prompts you to ask another question and then another, we’ll be with you every step of the way as you follow your train of thought. Even if you’re a self-confessed technophobe, you won’t need to get IT involved to create the analysis you’re looking for. It’s that easy. Move away from paper receipts and spreadsheets. With an integrated, mobile T&E solution, employees can quickly and easily submit their trips and expenses. This gives organisations visibility into spend to ensure travel and expenses are compliant and to find opportunities to save costs. LS Nav is the complete retail management system that gives retailers all they need to manage their whole operation - head office to POS terminals. It allows management to oversee and run their business centrally from the back office. React fast and effectively when circumstances change, minimizing your risks and maximizing your profits. LS One is a light, quick-to-learn and easy-to-customise retail POS software. It brings great benefits to retailers of all sizes - from start-ups, to small and medium retailers, to larger businesses which can advantage from the full power of the platform. Serve your customers faster and better, manage your stores more effectively and plan your business future with a suite of reporting tools. Simple to use. More power than you can imagine. The most complete BI portfolio available. Power BI is a cloud-based analytics service that gives your business a single view of your important actionable data. Monitor the health of your business using live dashboards, build rich interactive reports with Power BI Desktop and access your data on the go with native Power BI Mobile apps. IBM Watson Marketing software brings you the power of artificial intelligence and cognitive learning, so you can better engage with customers across all channels with personalised content. Whether you need marketing automation, marketing analytics or a content management system, IBM Watson Marketing has you covered. Choose from a range of solutions from IBM Watson Marketing such as Campaign Automation, Marketing Insights, Customer Experience Analytics and Content Hub. Salesforce's CRM solution is helping companies enhance their productivity and drive top sales performace by connecting sales with service, marketing, and more. Transform more leads to closed deals by empowering your sales reps and giving them the tools they need to sell more effectively. Not only fill your pipeline faster by connecting sales with marketing, but also get a complete view of how your customers travel through their journey with you, from customer awareness to advocacy. Enhance your customer experiences through delivering a personalised service, and keep pace with your customers to meet their needs, faster. Click here to go to full product description. We provide the capability your business needs to move forward... From dedicated virtual server environments and innovative software applications, to ERP and CRM solutions. Have you ever had an issue or needed something modified, only to find you need to speak with 2 to 3+ different companies, and yet after all that time and effort you have gotten nowhere? We deliver convenience by offering a one-stop-shop, with all of the services you need provided solely by MicroChannel, making multiple-vender conflicts a thing of the past. Every organisation is different, so MicroChannel offers a variety of hosting environments. Whether it’s CRM, ERP or Offsite Backup, MicroChannel offers multiple business hosting solutions to meet your needs. What are Sage Business Management Solutions? 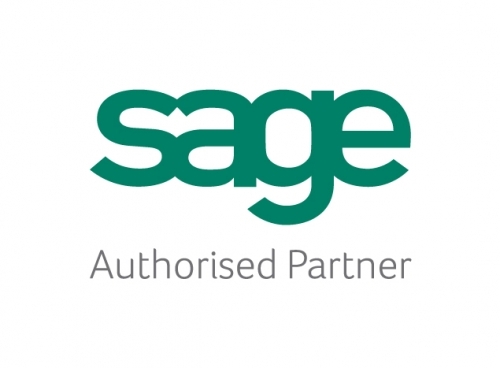 Sage Business Management Solutions take the capabilities of ERP tools a step further. Built to scale for small to mid-market businesses and large enterprises, Sage Business Management Solutions are fully-integrated systems that empower efficient and more competitive operations across the entire value chain. Integrate and streamline core business processes with Sage Business software. Within a single system, capture end-to-end visibility of your entire business and get centralised control across financials, manufacturing, distribution, sales, marketing, inventory, customer service and more. XLCubed extends data-connected Excel, providing unrivalled agility in analysis and reporting. 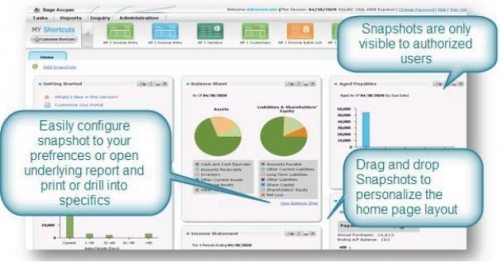 Share reports with Web and Mobile users through a governed, scalable Web platform. To run your business effectively, it’s critical to make timely operational decisions. Your ERP system can help streamline operations and provide better visibility on what’s happening in your business—but it’s not designed to facilitate decision making. And most ERP systems do not provide simple tools to dynamically explore data, unveil opportunities, or share analysis without technical skills. Get the business software you need, the way you need it, with SAP Business One Cloud. This affordable, solution can help integrate and streamline your key processes – including financials, sales, inventory, and more. And because the solution is hosted and maintained by experts in secure, world-class data centers, you can spend more time on innovation – and less on IT. Sage Business Cloud Enterprise Management (formerly Sage X3) enterprise resource planning solution, is a powerful and flexible ERP built to manage financials, distribution and manufacturing operations. 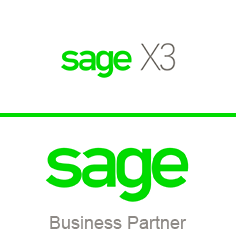 Sage X3 is simple-to-use, flexible yet uncompromising business software platform. The RIC Group empower mobile workers with the appropriate tools for rapid decision making, faster turnaround, flexibility and improved productivity. The RIC Group deliver the right solution which increases insight, collaboration and awareness. Our supply chain suite for SAP B1 is the only choice for a growing small to mid-sized business, which includes warehouse management solutions, transportation solutions and EDI. Our solutions are feature rich and allow flexibility and scalability without modifications. Sage 300 (formerly Sage ERP Accpac), is a flexible and robust business solution for small and mid-sized businesses. Sage 300 enables you to create a perfect fit for your business by implementing the business solutions that work best for your business today, and provides the ability to upgrade and modify your system later as your business expands in the future. From small office applications to enterprise systems, Sage 300 offers the most comprehensive, scalable and cost-effective end-to-end business solutions in the industry - delivering unparalleled performance, advanced functionality, cross-product integration and rock-solid stability. Sage Customer Relationship Management (CRM) is far more than just a software application. It is a business solution that gives you the ability to connect with and understand your customers. It is a combination of people, processes and technology and covers every interaction with your customers across the entire business. You can benefit from Sage CRM by managing critical sales, marketing and customer service activities, help you find new customers, close sales faster and build lasting, profitable relationships. Dynamics 365 Business Central will help you take the next steps to grow your business. Business Central brings forward the opportunity to accelerate business growth while unifying processes and enhancing your customer value - all available within this Dynamics 365 end-to-end business management solution that is 'built to evolve'. Engage with customers, run simplified operations, and expand into new markets—all to provide your customers with amazing experiences. 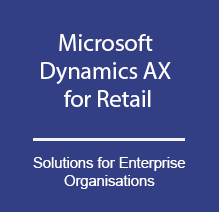 Microsoft Dynamics AX for Retail is a modern, unified retail solution that reduces complexity for retailers, allowing them to focus on connecting with customers and empowering their employees across all channels. It empowers organisations to deliver a complete shopping experience-personal, seamless, and differentiated-by helping them with a single view of the business. Financials, and more, can be deployed in the way that makes the most sense for your business. Engage Customers: Globally reach connected customers how, when, and where they shop. Ready employees: Increase employee productivity and effectiveness and help their most valuable asset - people - to provide the best possible customer service experience. Expand rapidly: Anticipate trends and capitalise on opportunities through a 360-degree view of the business. And all this while protecting customer data at every interaction point. 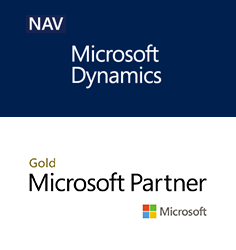 Microsoft Dynamics NAV (formerly NAVISION) is quick to implement, easy-to-use enterprise resource planning (ERP) software that helps over 100,000 companies worldwide manage their accounting and finances, supply chain, and operations. Microsoft Dynamics GP (formerly Great Plains) gives your team access to information. The right information. Making your people more productive. 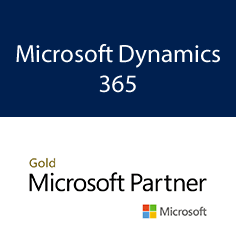 What makes it even better... Microsoft Dynamics GP works like and with the Microsoft Office tools they already use. So your team can get started quickly with less of a learning curve, and become more efficient, even faster. Why you need to automate your workflow ? Microsoft Dynamics GP is the ideal financial accounting and business management solution for the small-to-mid size business environment. Backed by Microsoft innovation, Dynamics GP combines comprehensive out-of-the-box capabilities with flexible deployment options to give your business greater control, increase margins and drive long-term growth. Attract prospects, drive sales and grow lasting customer relationships. Microsoft Dynamics CRM is a robust customer relationship management solution that reduces costs, improves profitability and automates processes organisation-wide. Built on an xRM platform Microsoft Dynamics CRM not only incorporates marketing, sales and service capabilities but can be customised to meet differing business demands. Microsoft Dynamics Retail Management System (RMS) offers small and midsize retailers a complete point of sale (POS) solution that can be adapted to their meet unique requirements. This powerful software package automates POS processes and store operations, provides centralised control for multi store retail, and integrates with Microsoft Office programs, Microsoft Dynamics GP, and other popular applications such as Sage Accpac and SAP Business One. Microsoft Dynamics RMS is built on a proven Microsoft platform that adapts to meet unique and changing retail needs. Microsoft Office 365 brings together familiar office apps, such as Skype and OneNote, into one integrated platform. Microsoft Office 365 is empowering companies of any size to collaborate smarter and be more productive from anywhere. MicroChannel is recognised as a leading provider of business solutions for Australian small to mid-sized businesses, corporate divisions and government agencies. We have partnered with a selection of world class leading business software vendors, whose platforms provide the basis for flexible and customisable business solutions tailored to your unique business needs. Our partnerships with multiple vendors mean that our expert consultants are able to provide an unbiased opinion on the best solution fit – giving you peace of mind that the solution will operate with your unique business processes. There are many direct and indirect revenue and profit enhancing benefits that can be realised from an ERP implementation. MicroChannel is a leader in designing, implementing, customising and developing ERP solutions based on software from top ERP software vendors. We work with industry mainstays such as Microsoft Dynamics, SAP Business One, Sage X3 and Sage 300 to deliver solutions that work with your organisations processes and procedures to maximise your return on investment. To be truly beneficial to the organisation, CRM is best approached as a whole of business strategy enabled by technology – rather than as a piece of software – where user-adoption is key to success. As both a business process and technology consultant, MicroChannel is well known for its proficiency to provide clients with innovative robust CRM solutions based on technology from leading CRM vendors, including Microsoft Dynamics 365 for Sales, Sage CRM and Salesforce. Our professional services and best practice methodologies allow MicroChannel to design and implement CRM projects with well-defined goals, high user-adoption rates and faster time-to-benefit. Warehouse Management Systems (WMS) Warehouses are traditionally seen purely as cost centres – but progressive businesses are realising that the potential that their warehouses possess to deliver a significant competitive advantage. MicroChannel implements and develops applications for AccellosOne Warehouse, an innovative world leader in WMS. MicroChannel’s world-leading WMS experts tailor your system to meet your unique warehouse processes and requirements, and guide you through the transition to an automated warehouse. Inventory Software to promote and endorse a more agile workforce and ensure employees have the ability to make smart, informed decisions while mobile. Deliver accurate and sound logistic solutions with a mobile interface that retrieves, verifies directly into your ERP solution. A complete solution to minimize procurement costs and maximize efficiency. Discover the possibilities of enhancing your business practice through the combination of selective tools and features that are designed to deliver results. Enhance or tailor existing systems to ensure compliance at all levels. Organize the warehouse with tracking of goods inwards, serial & batch tracking of stock, and consolidate stocktaking. Provide a platform to enable inventory management and planning for smoother and faster distribution. Consolidate business modules and simplify the chain management system by integrating transactions from head office, branches and outlets in one standalone system. Ensure higher production rates, monitor quality control, and reduce labor costs. Having the ability to make rapid and decisive decisions based on real-time information is crucial for any retailer wanting to remain competitive and drive up customer centricity. 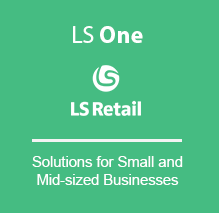 LS Retail provide small, mid-sized, large and enterprise level retailers the necessary tools to achieve their goals today and as they grow into the future. Systems and Technology Integration - To help your business leverage technology to achieve your business goals, MicroChannel Systems Integration provide technology solutions from leading vendors. We are your full service outsourced IT department. IT Systems Integration specialises in designing, implementing, servicing and supporting all your IT computer hardware, software and network requirements so you can stay focused on your businesses core competencies. Whether you are a small business with one computer or you are a mid-size business with several hundred computers, MicroChannel Systems Integration can work with you to ensure your IT infrastructure is optimised for your requirements. We provide a 1300 Hotline priority number to call for assistance during business hours as well as email support, client web portal and remote access support to suit every situation. MicroChannel is a certified Sage Accpac and SAP Business One development partner. This means that we use the same development environment used by our vendors to develop specialised business software solutions. If you have any special requirements that don't seem to be handled by your standard business and accounting products, our certified programmers will work with you to modify your system to meet your specific business needs. MicroChannel develops software add-ons and utilities that have the same look and feel as your business system and work seamlessly from within your business and accounting system. Consequently, MicroChannel Software Development specifically targets the creation of efficiency-improving custom software that will close the gap between the rigidity of the disciplined accounting requirements and the variable operational efficiencies that result in the increase of an individual organisation's competitive advantage. All software developments and customisations done by MicroChannel are supported by a full range of services to compliment and support our custom designs and our product integration software implementation from start to finish. Needs Analysis - Determines the exact business requirements and workflow procedures specific to individual end users. Software Design - Functional and technical design required to meet the identified requirements while improving operational efficiencies to achieve effective payback of the development cost. Fast Track Proof of Concept and Prototyping - Ensures that the custom software meets all specifications prior to 'go live'. Quality Assurance Testing - Every custom design from MicroChannel must pass stringent quality control checks before any implementation. Implementation, Reseller Training and Helpdesk Services – To assist with achieving flawless project completion. world from a secure data centre located within Australia. All services are offered on a month to month basis and are billed according to the number of users that require the service and/or the specifications of the dedicated virtual server that is required. There are no lock-in contracts which means that you can increase, decrease or turn off your service at any time without incurring any penalties. Further to this we do not charge extra for data transfer, letting you know exactly how much you are going to get billed each month regardless of any excess usage during that month. providers and an advanced fire prevention system, the data centre is well equipped for handling external factors that can sometimes cause issues with IT Infrastructure. Within the facility the infrastructure has been designed to provide you with High Availability, this means that there is no single point of failure that will cause the systems to go offline. In other words if the main power goes down, the facility instantly switches over to the back-up power supplier, if they both go down then the on-site generator kicks in. If the internet service provider goes down then another provider instantly kicks in. If the routers fail another one takes over, if the physical server that runs the dedicated virtual server environments crashes another one instantly takes over, and if a hard disk within the physical server fails, the load is instantly spread over a series of other hard disks until such time as it is replaced. All of this occurs without any human intervention and without impacting the service being delivered. With this in mind the service we offer is not only secure but provides you with a level of redundancy that typically cannot be provided when setting up internal IT Infrastructure. Regular backups are taken of your environment to allow us to restore your system back to a point in time prior to any file or record deletion that a user or software related issue may create. These backups are then transferred off-site each day to provide yet another level of redundancy. Essentially MicroChannel Hosting provides an alternative to traditional IT Infrastructure, where a business purchases servers and then manages the up-keep of them internally. MicroChannel Hosting manages the servers for you and will also reduce or remove the up front capital expenditure that would have traditionally been required to set up internal IT Infrastructure. Business Intelligence (BI) is the term for the tools and mindsets that businesses use to interrogate and analyse their in-house data. There has never more data available to businesses than there is today. The access to, and productive use of, that information has become critical to the success of every organisation to manage risk and competition. Collating and combining data from multiple sources and delivering this information in easily understood and digested formats is crucial for the overall decision-making process. MicroChannel’s BI & Analytics practice use a variety of toolsets and methodologies to build a more data-driven capability within our customers’ businesses. Ask us to show your business how. Concur Travel & Expense helps organisations run more efficiently. MicroChannel is a leading provider of marketing solutions from the IBM Watson Marketing suite. Watson helps you deliver better customer experiences through artificial intelligence, cognitive learning and big data personalisation. Watson goes a step further with customer experience analytics and marketing insights that help you optimise your marketing efforts across email, web, social and mobile. MicroChannel specialises in a number of different industries - if your industry is not listed here please contact us so we can provide you with information on a specific solution for you. Highjump - Warehouse Edge is an integrated warehouse management system for small to medium sized manufacturers and distributors. With the ability to seamlessly integrated with select ERP's, Highjump - Warehouse Edge can be scaled to fit the logistic needs of any small-to-mid sized warehouse operation. The interface allows users to work with real-time warehouse information from within SAP Business One. Users can dramatically improve inventory accuracy, keep real time inventory by bin location, streamline warehouse operations, process back orders and improve overall customer satisfaction. Highjump - Warehouse Edge offers a feature rich solution to automate, streamline and verify all your in-warehouse processes. From the receiving dock to the shipping dock, Highjump - Warehouse Edge tracks every movement of stock into, out of and within the warehouse, maximising efficiency and accuracy and maintaining up to the minute inventory data. by increasing visibility into the supply chain, automating key production processes, tracking compliance & making it easier to focus on innovation & speed to market. The advanced manufacturing components complement SAP Business One to provide the information which small & mid-sized companies need for manufacturing management, cost accounting & controlling. The advanced manufacturing functions include specific functions for materials management: order & stock related production, mixed & variant production as well as the necessary functions for the appropriate production planning & execution of manufacturing orders. Advanced manufacturing builds on standard item & bill of materials to include setup of Recipes, Routings, Operations, Resources (groups, machines, personnel & tools), Cost centres & Tools. The functions for rough general planning include the areas of material and capacity requirements planning. Roughcut capacity planning shows in a simple and clear way available, used and unused capacities for resources. Pool control is an efficient way to plan resource groups or resources. So-called pools can be defined with certain volume of work. By scheduling the production orders, these pools are filled with operations. The operations can be selected and executed in various ways to ensure that the right jobs are processed at the right time. Get efficient functions which make it possible for you to implement the necessary quality tests during the material flow from the initial procurement through to delivery. Different kinds of test orders can be assigned to external as well as internal resources. Whether you want to prepare estimates for standard products with different lot sizes or customer-specific designs for quotes or manufacturing orders – Cost Estimation functions have it covered. The calculation provides you with one click a comparison of the current accumulated costs with the pre-calculation of a current order or the profit margin of a completed order. The flexibility of the calculation scheme supports full, marginal costing or contribution margin. Furthermore, the data can be parameterized in such a way that a highly flexible and differentiated assignment of work in process is possible. MicroChannel's deep NFP understanding combined with world class ERP products, provides strong functionality for NFPs, ensuring we offer best-fit solutions and faster roll-outs for NFPs wanting to upgrade their business systems. Successful management of a Not-For-Profit (NFP) organisation requires careful administration of expenses and meticulous reporting practices to meet regulatory compliance and to secure future funding. MicroChannel has implemented ERP solutions for over 20 NFP clients in Australia. We have a deep understanding of the specific challenges NFPs face and how to overcome them. Our ERP solutions for NFPs promote accurate and timely reporting and easier access to data that help reduce daily overheads. This translates into more time to focus on your core mission of providing services and value to beneficiaries. by streamlining your entire order-to-ship process and providing clear visibility into inventory levels, order status, supplier schedules, and customer demand. 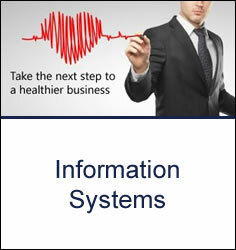 Besides running your core business functions such as sales and financials. Track inventory levels and stock movements in real time to minimize "stockout" situations, increase goods availability, and reduce inventory-carrying costs; also manage price lists, special pricing, and quotes. Provide full past transaction data, so you can analyse customer buying behaviour to predict demand more accurately and balance inventory levels accordingly. Provide online self service capabilities for customers and suppliers, so they can view inventory availability, the status of orders and deliveries, and billing information. Wholesale Distribution complimented with add-ons that offer Warehouse Management automation using radio frequency or batch processing, and state of the art handheld and barcoding hardware devices. SAP Business One is a fully integrated solution that is designed to help and assist you in all the different operational and administrative areas within your business. Identifying and securing the project. Maintaining and supporting the client. All of the information recorded is then available to be used to continue supporting your client or else, for you to use to gain identify means to be able to obtain greater efficiency and profitability within the projects carried out by the business. From the administrative side of the business, the information that is recorded and generated from front line operations is immediately available to the all the different departments and users on the system (based on pre-set security and authorisation criteria) providing managers with alerts for transactions that fall outside of the acceptable norm, and for key decision makers to have current live information to use in the decision making process. Have a live value of the current work-in-progress for sales, support and implementation projects. Analyse the productivity and use of all their staff in all the various departments. Analyse the productivity and use of any specialist equipment that may have been obtained for use on projects. Maintain a distinction between initial agreed work and change variation that occur during the project. Track and automate the recurring billings that need to be carried out for software license fees or support contract fees. Create, track and manage employee tasks and activities. 10+ years’ experience implementing CRM and ERP solutions for the Real Estate sector. Our Real Estate clients scale from sole traders to some of the largest firms in the world. Real Estate agents are missing out on significant opportunities offered by having a comprehensive CRM solution in place. The concept behind using a CRM solution is to better manage your enquiries, listings, appraisals, actions and sales activities to manage your enquiries and listings, as well as sales and marketing activities. The implementation of an effective CRM solution can address every facet of your Real Estate management business, eliminating redundancies and speeding the flow of information between departments. CRM is an ongoing business process focused on gaining, growing and nurturing the right customers for your business. MicroChannel has a dedicated point of sale division that implements and supports Microsoft Dynamics for Retail and LS Retail which we can integrate into leading ERP's to provide the best of both worlds. For retail organisations looking to run operations more efficiently, improve service levels, and make the confident decisions that fuel growth, MicroChannel and Microsoft Dynamics for Retail / LS Retail gives you the freedom to run an efficient, customer-focused business. It automates point of sale processes and store operations, provides centralised control for multi-store retailers, and works like and with the Microsoft Office system programs your people already know and use. Integration with ERP connects retail and financial management for a multi-store network, enabling you to manage store, financial, and inventory operations from a central location. You can eliminate double data entry and gain an extra level of visibility into transactions at the individual store level. Is your Club wrestling with Technology? Bringing sports to the fans is the main focus of your sporting organisation, and that to accomplish this task clubs and associations need to operate as an effective and efficient business. However without the proper tools, just like any other business, sporting organisations become hampered in their quest to achieve their social mission. Fluctuations in revenue due to the seasonal nature of competitions. Uncertainty in financial planning due to reliance on team performance. Disparate systems and/or numerous spreadsheets with poor information flow and connections. Difficulties in tracking customer/fan retention, loyalty, purchasing habits, memberships and overall interaction with the club. Large amounts of paperwork and administrative overheads. Limited internal IT resources and expertise. If some of these points strike a chord with you and your organisation, then we can help. MicroChannel has enhanced the functionality of SAP Business One to include all the requirements of a metals distribution business. For many years, metal distributors have attempted to incorporate computerised solutions derived from other industries. This has resulted in fundamental conflicts of work practices that needed to be overcome, such as: multiple sale units of measure, sales of variable dimensioned products, management of off-cuts and production that is the inverse of normal assembly practices. MicroChannel has been providing solutions to the metals distribution for over 15 years enabling them to tailor an affordble solution specifically for the metals industry called Metals One. Right Resource. Right Job. Right Time. Delivering Service to Customers is an important aspect of any business with Field Technicians. Having them in the right place at the right time to meet ever demanding customer expectations requires intelligent scheduling, native mobile support, and remote asset monitoring. With MicroChannel's OneFieldService solution based on the Dynamics365 platform, this becomes easily achievable. Automatically optimise schedules, reallocate resources quickly during escalations, improve first-time fix rates, and simplify dispatching for field service companies. Improve field processes and technician productivity by providing real-time customer insights and guidance, use barcode and RFID readers, and process work orders from mobile apps. Go from a traditional break-fix repair model to never-fail service model by integrating Microsoft IoT. Automate troubleshooting and remote fixes so a technician is dispatched only when necessary. Our People – MicroChannel has an outstanding team of committed and knowledgeable professionals who thrive on giving expert advice; our team works together towards one common goal, satisfied longterm clients. Dependable, fast, knowledgeable and easy to understand service is what you can expect to receive from MicroChannel. You get personal service from a named consultant, coupled with our expert helpdesk team who are ready to help. It's the peace of mind that comes from knowing the help you need is available when you need it. Our training courses aim to transfer our knowledge to you, the client, so you can obtain the maximum value from the products and services. All training courses are conducted by one of our highly trained and certified solution consultants and are conducted in one of our training classrooms. You can also schedule private courses for employees at your location or at one of our training facilities. At MicroChannel, we assess your training requirements both in regards to the existing skills of your staff and your business requirements to ensure you receive the full value from your business solution and computer system. MicroChannel continually strives to improve the services we provide. The Client Care department obtains feedback on service quality by contacting clients after services have been delivered to ensure clients are happy with the services provided. Regular newsletters with helpful tips and tricks and product news are sent to all clients to ensure they stay current with what is important for their system. User Days are held which provide an opportunity for clients to interact with other users, see new products in action and learn how to get more from the SAP Business One. The Business Systems Group focus on providing advice, planning, implementation, project management and support services for the users business software. Our Implementation and Consulting services are designed to help our clients achieve successful live operation of Business Systems software as quickly and efficiently as possible while maximising the benefits the client realises from the software. Whether you are a small business with one computer or you are a mid-size business with several hundred computers, MicroChannel Systems Integration can work with you to ensure your IT infrastructure is optimised for your requirements. We appreciate that each business is different as is the solution each client requires, therefore at MicroChannel we will take time to analyse your requirements and give you what will meet and solve your business needs. We don’t confuse you with technical jargon to sell you equipment and services you don’t need; we simply deliver the best solution that supports your organisation at a price that is realistic and fair. Provide marketing professionals with data cleansing and segmentation tools, campaign management features, and insightful marketing analytics to increase the effectiveness of marketing programs, generate demand, and better track key performance indicators. Microsoft Dynamics CRM provides a holistic, comprehensive set of marketing capabilities so you can better understand customers and target your resources to the areas of highest return. Learn More. ERP solutions allow CFO’s and Finance managers to make fast and informed decisions by having timely access to the information they need, when they need it. With flexible and powerful reporting, analytics, budgeting, automated alerts and more, it is not hard to see why ERP solutions are a game changer for SME’s. Overseeing and controlling the processes of your organisation to ensure that business operations are efficient, using as few resources as needed, and customer satisfaction requirements are met or exceeded, is no easy task. We acknowledge your day-to-day pain points and stresses, and this is why we recommend to Small and Midsize Businesses (SMB’s) top of class Enterprise Resource Planning (ERP) Software and Warehouse Management Systems (WMS) to help you become more efficient, increase customer satisfaction, reduce the stress load on the organiation and increase the bottom line with a fast Return on Investment (ROI). Being a decision maker and executor for your company, you need quick access to the right information to make sound decisions. You need to be notified of decision making processes happening within the company by your employees, and to manage and make approvals when required. ERP solutions allow you to utilise powerful tools that give you access to accurate and up-to-date information. You can create complex reports which are important when needing to make those quick yet critical decisions. You will be alerted when your defined alerts are set, and be able to complete approvals on the go via mobile technologies. Create new reports and customise existing ones using a variety of presentation formats that include interactive drill-down functionality and sophisticated formatting. We provide reporting for all business processes, including accounting, sales, purchasing, production, inventory, service and management. A number of BI tools are available for our ERP products, SAP Business One includes Business Objects Xcelsius, Alchemex, PowerOLAP, etc. The best tool for your business will depend on your requirements. With over 15 years of experience in matching requirements to functionality, MicroChannel Services will assist you in selecting the correct solution, wether it is SAP Business One, Microsoft Dynamics GP or Sage 300 ERP. You can set up immediate notifications and automatic responses to important business events through user definable, workflow-based alerts. When indicators fall out of the predetermined range set for the event, you receive a notification to which you can respond. We understand the difficult and constant pressures put on CIO's and IT Managers, whether you are a small business with one computer or you are a mid-size business with several hundred computers - MicroChannel Systems Integration can work with you to ensure your IT infrastructure is optimised for your requirements. We can assist CIO's and IT Managers in designing, implementing, servicing and supporting all your IT computer hardware, software and network requirements - so you can stay focused on your businesses core competencies.